Astrology: Capricorns are considered hard-working, achievement-oriented, and determined. 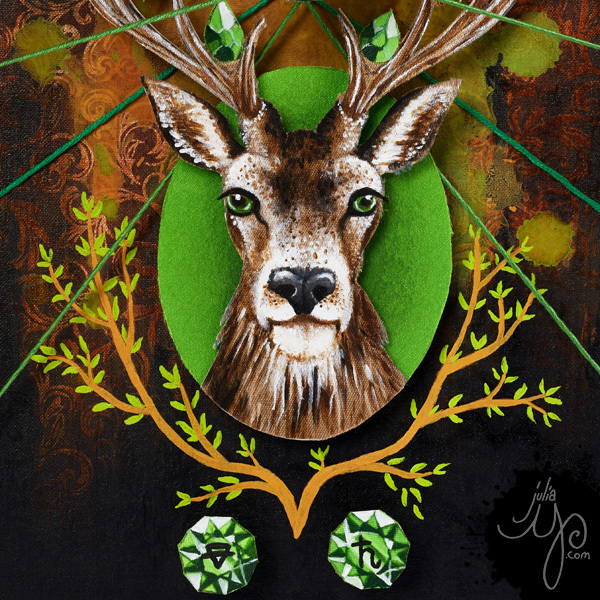 Folklore: Cernunnos is the Celtic deer-horned god of fertility and wealth. 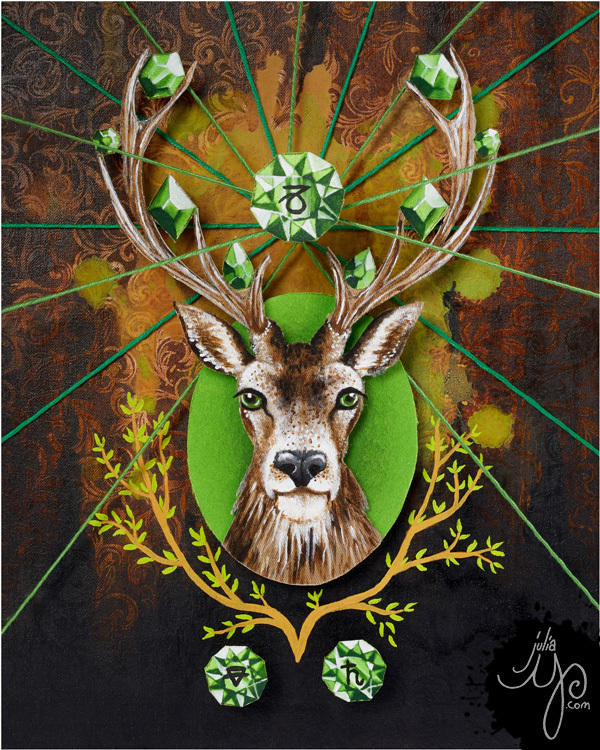 In Chinese the words for deer and financial prosperity are both pronounced “lu,” and in Feng Shui deer are used to bring an increase of wealth to a household. Geometry: As the first month of the year, Capricorn uses an array of radiating lines to represent the number 1. Gems of emerald appear with 2,4,6,8, and 10 sides as 1 divides into all numbers.